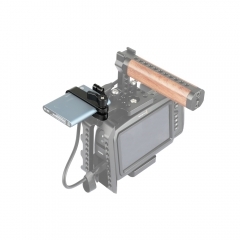 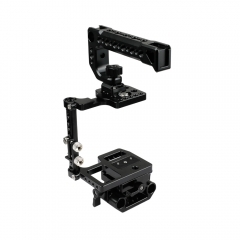 • This cage kit is exactly a perfect fit for Blackmagic Pocket 4K cameras. 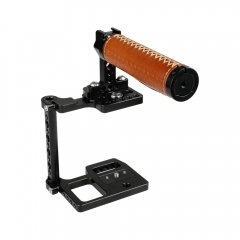 • A delicate and solid half frame with a hot shoe mount based on the top. 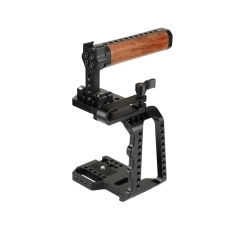 • A detachable left-side wooden handle grip delivers comfort while shooting. 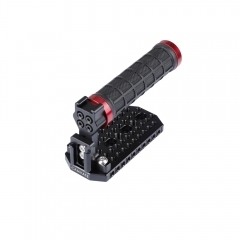 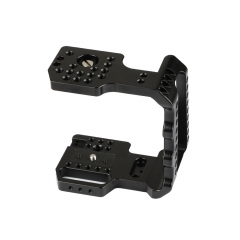 • With camera screw on both the top and base plate to secure the camera. 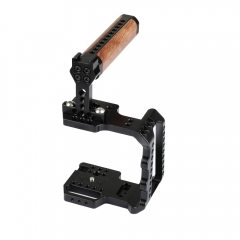 • It’s made of high quality wood, aluminum alloy, and CNC-milled. 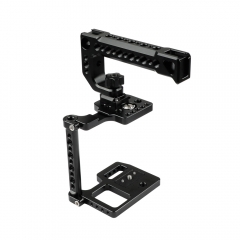 • Plenty of 1/4"-20 and 3/8"-16 mounting points throughout the cage kit. 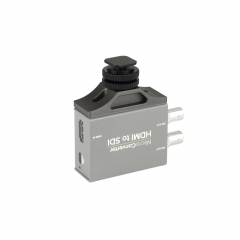 • It specially works with Blackmagic Pocket 4K cameras.